Henry Setright QC was called to the English Bar in 1979 and was appointed Queen’s Counsel in 2001. He has for many years specialised in international children’s and family work at the highest level, including cases in the UK Supreme Court, the Court of Justice of the European Union, the European Court of Human Rights, the House of Lords, the Court of Appeal, and the High Court, and as lead English counsel in two cases on Amicus briefs in the United States Supreme Court. He has (so far) appeared in more than 130 leading cases reported in the English Family Law Reports, a total not to date equalled by any other member of the Bar. His work to date has included (for example) consideration of issues relating to acquiescence, adoption, asylum, attempted assassination, care proceedings, children’s representation, children’s views, conflict and transfer of jurisdiction in public and private law cases, custody rights, diplomatic privilege, forced marriage, habitual residence, domestic violence, human rights, immigration, marriage, relocation, risk of harm, Sharia law, settlement, international and domestic surrogacy, and welfare in the context of international family litigation. International work at the highest domestic level has since 2005 included 5 cases in the House of Lords and 8 cases in the UKSC, four of which – A v A  UKSC 60, KL  UKSC 75, LC  UKSC 1, and K  UKSC 29 – have been heard in the last 12 months. In October 2009 he appeared in Re: I UKSC 10 , on jurisdiction and the interface in a non EU (Anglo-Pakistan) case with the Brussels II revised regulation – it was the first Family case in the UK Supreme Court. He led an English team presenting a brief in the landmark rights of custody appeal of Abbott v Abbott, the first 1980 Hague Convention case to be heard in the United States Supreme Court (judgment in USSC 17th May 2010), and in the subsequent Hague Settlement case of Lozano v Alvarez, also in the USSC, judgment 5th March 2014 . He has also appeared in Hague Convention cases in the ECtHR, notably Ignaccola-Zenide v Romania, Carlsson v Switzerland, and, leading an English team, in the landmark Grand Chamber case of X v Latvia, judgment 26th November 2013. He appeared in the first family case referred by the English Court of Appeal to the Court of Justice of the European Union (Mercredi v Chaffe Case C 497/10 PPU judgment 23rd December 2010) on habitual residence in children’s cases. He appeared in May 2014 in a second CJEU case referred by the English Court of Appeal, E v B, judgment currently awaited. The 2014 Family Law Reports (as of early June 2014) feature nine of his recent cases. Other cases include Chief Constable and Another v YK and others  EWCA Fam 2438) in relation to disclosure and the conduct of forced marriage hearings, on marriage/immigration policy R (Bibi) v Secretary of State for the Home Department)  UKSC 45 EWCA Civ 1482, and In addition to his court appearances, he lectures regularly in England and internationally at conferences and seminars. He is the author of numerous articles on international family law, and is co-author of International Parental Child Abduction (Jordans/Family Law). He is one of the originators of, and sits on the steering group of, the Reunite/Nuffield Foundation pilot scheme for mediation in child abduction cases, and assisted in the drafting of the Forced Marriages Bill introduced by Lord Lester of Herne Hill in late 2006, and now passed into law. Extraordinarily experienced children law specialist who is widely regarded as the ultimate expert on international children matters, particularly abduction. He is routinely in the Supreme Court, leading the most significant, law-changing cases. He is also well versed in matters concerning the overlap with immigration, human rights and Court of Protection issues. Recent work: Acted in the widely reported case of Al-Jeffery v Al-Jeffery, appearing on behalf of a 21-year-old daughter held against her will in Saudi Arabia by her father. Recent work: Acted in Ciccone v Ritchie, acting on behalf of Guy Ritchie and Madonna’s son Rocco. Extraordinarily experienced children law specialist who is widely regarded as the ultimate expert on international children matters, particularly abduction. He is routinely in the Supreme Court, leading the most significant, law-changing cases. Recent work: Achieved a successful application in a landmark 1980 Hague Convention/Article 8 human rights case run for an Argentine father against a Romanian wife. A name that immediately springs to mind when one talks of cross-border children cases. Peers respect him due to his utter command of the area. Simply the best in international child abduction matters. Revered for his talents in the field of abduction law. He is frequently involved in the most significant and ground-breaking children law cases at an international level. Recent work: Instructed in a landmark international case on the approach to the 1980 Hague Convention. The matter marked a major change in human rights law. Henry Setright QC continues to be regarded by market sources as pre-eminent in international children matters, especially child abudction cases. Recent work: Appeared in Qulia Bibi and Aguila v SSHD, a watershed case in the Supreme Court concerning forced marrigae and restrictions on marriage for under-21s. The case has been instrumental in changing English law, causing the abandonment of UK immigration policy regarding restrictions on entry for that class. Henry Setright QC is ‘the best advocate around’. Henry Setright QC is ‘among the best practitioners in child abduction and other international cases’. 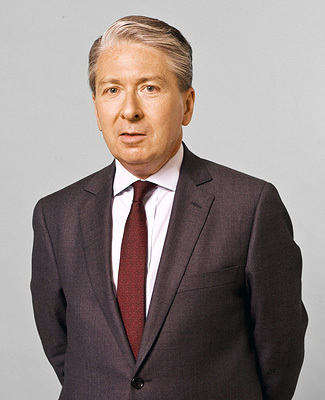 When it comes to cross-jurisdictional children disputes, Henry Setright QC “is amongst the best advocates in the market.” He was recently involved in Mercredi v Chaffe, the first family case referred by the English Court of Appeal to the Court of Justice of the European Union. Sources say that “he is tactically astute and has excellent cross-examination skills. ‘Devastating advocate’ Henry Setright QC is ‘unrivalled in this area’. “Setright is a distinguished figure in the field of international abduction”. ‘Henry Setright QC is the go-to man when it comes to international work’as ‘there isn’t anything he doesn’t know’, according to market sources. A ‘formidable advocate’, he is a ‘wonderful tactician with a sharp analytical mind’ who applies his skills to a high-profile practice focusing on international children and family work. 4 Paper Buildings recently welcomed international family law specialist Henry Setright QC. A very impressive advocate at the peak of his powers… Henry Setright QC routinely argues several cases a year in the Court of Appeal and/or the House of Lords – most but not all of these relate to international child abduction or other cross-border child issues falling under Brussel II regulations. ‘Very notable in the area, and justifiably so’, he sets the tone for many of the juniors in the set. Henry Setright QC is ‘your man in child abduction’ matters due to his ‘unrivalled knowledge of abduction law’. In addition to his sterling international children law practice, he has also ventured into the field of forced marriages. Henry Setright QC has been in over 80 reported family cases (more than anyone else at the bar) and has ‘accumulated more knowledge and kudos than many could hope for in a lifetime.’ International child abduction is his strong suit in a practice that takes in children matters generally. He has further been a pioneer in the area of forced marriages. Henry Setright QC is rated as a leading Silk by Chambers Directory. His particular bent is towards legal matters pertaining to child abduction, an area where few can effectively challenge him. ‘The most experienced and well-regarded international child abduction barrister – he is a wonderful tactician.